Stevenage have signed centre-back Bondz N'Gala from League One rivals Yeovil Town on a two-year contract. The 22-year-old began his career with West Ham where he worked with Mark Newson, now Boro's assistant manager. "He's a dominant centre-half. He's big and strong and was my captain in the two years I spent working with him," Newson told the Stevenage website. "He's a great leader and always works hard for the team, so I'm delighted to be working with him again." 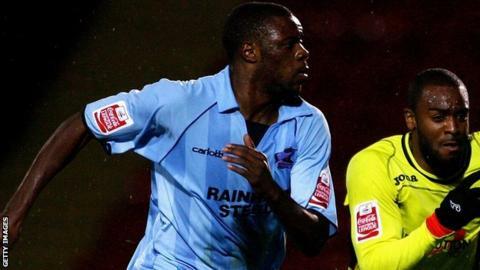 N'Gala is Stevenage's sixth signing since the promotion play-off semi-final defeat by Sheffield United and follows the arrival of David Gray, Anthony Grant, James Dunne, Steve Arnold and Greg Tansey. The club are, however, braced for the loss of midfielder Lawrie Wilson, 24, after receiving two offers from Championship clubs. "He's given us five great years and earned the right to play at that level through his performances," said chairman Phil Wallace.